The actor and comedian Robin Williams was found dead Monday at his home in Tiburon, Calif. Police say it appears to have been a suicide. Williams was 63 years old. Emergency personnel were called to the house in Marin County, north of San Francisco, around noon. Officials say the cause of death is suspected to be asphyxiation, but a forensic exam and toxicology tests will be conducted. At a press conference Tuesday, authorities in Marin County, Calif. said Williams was found hung against a door in his home. Rigor mortis had set in by the time a personal assistant found him at about 11 a.m. PT Monday. There were superficial cuts on his arms. It's being investigated as a suicide but the investigation is still open. A toxicology report will come in 2-6 weeks from now. The news sent shock waves through the entertainment community and tributes have poured in from all quarters. A statement from Robin Williams' press representative said he had been "battling severe depression." Williams first rose to fame from the stand-up comedy circuit in the 1970s, with a manic improvisational style all his own. He appeared on the sitcom "Happy Days" and then starred as a lovable alien on its popular spin-off, "Mork & Mindy," from 1978 to 1982. Williams went on to prove he had serious acting talent as well. He delivered critically praised performances in films like "Good Morning, Vietnam" (1987), "Dead Poets Society" (1989), "Awakenings" (1990), and "Good Will Hunting" (1997), for which he won an Academy Award for Best Supporting Actor. He was a comic whirlwind as a cartoon genie in Disney's "Aladdin" (1992) and as a nanny in drag in "Mrs. Doubtfire" (1993). Williams also won three Golden Globes, for "Good Morning, Vietnam," "Mrs. Doubtfire" and "The Fisher King." In his most recent TV series, "The Crazy Ones," which aired on CBS last year, Williams played a quirky genius who ran an advertising agency with his daughter, played by Sarah Michelle Gellar. CBS issued a statement saying, "Our world has lost a comic genius, a gifted actor and a beautiful man. We will remember Robin Williams as one of the unique talents of his time who was loved by many, but also as a kind, caring soul, who treated his colleagues and co-workers with great affection and respect. Our heartfelt thoughts and sympathies go out to his family, loved ones and friends." Williams had many projects in the works including a possible "Mrs. Doubtfire" sequel. Friends and colleagues paid tribute to Williams Monday night, with Steve Martin, Ellen DeGeneres, Henry Winkler and many others expressing their sorrow on social media. "I could not be more stunned by the loss of Robin Williams, mensch, great talent, acting partner, genuine soul," Martin wrote. Despite all the laughter on screen, his personal life was often troubled. Williams acknowledged drug and alcohol problems in the 1970s and '80s. A close friend of "Saturday Night Live" star John Belushi, Williams was one of the last to see him before Belushi died of a drug overdose in 1982. Over the years, Williams also went through two highly publicized divorces. Williams got sober and maintained it for two decades. But in 2006, he slipped back into alcoholism and entered rehab. Then this summer, Williams spoke about fact that he had been drinking once again and checked back into rehab. Williams was born in Chicago in 1951. He said he was shy as a child and got laughs at home by mimicking his grandmother. He joined the drama club in high school and studied acting at Juilliard, where his teacher, the renowned actor John Houseman, encouraged his talent for comedy. Williams admired boundary-pushing comics like Jonathan Winters, Lenny Bruce, Richard Pryor and George Carlin, and wasn't afraid to push boundaries of his own. "You look at the world and see how scary it can be sometimes and still try to deal with the fear," he told the Associated Press in 1989. "Comedy can deal with the fear and still not paralyze you or tell you that it's going away. You say, OK, you got certain choices here, you can laugh at them and then once you've laughed at them and you have expunged the demon, now you can deal with them. That's what I do when I do my act." 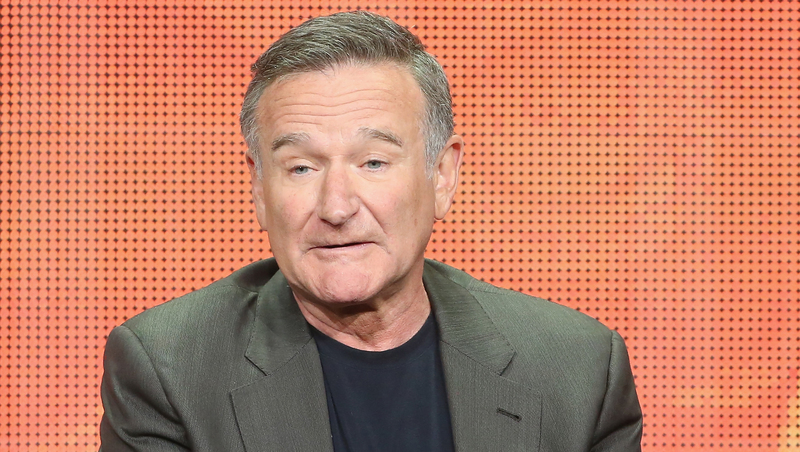 Williams reportedly had several film projects in the works when he passed away, including "Night at the Museum 3" and a Mrs. Doubtfire sequel that was in the development stages. He is survived by his wife and three children from previous marriages. On July 31, he posted an old photo of himself and daughter Zelda, with a caption wishing her a happy 25th birthday.